Tochukwu Nwosu, CEO of Zeph Associates, Abuja; Mike Ojiako, CEO of Correspondence Ltd, Jemila Ibrahim, Globacom Brand Specialist, and King Sunny Ade at the Glo Stakeholders Forum in Abuja. 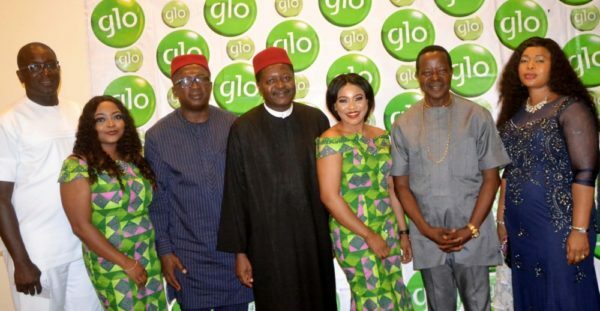 Like it did in the South West and South South, the foremost telecommunications operator in Nigeria, Globacom has treated its dealers and enterprise customers in the Northern and South Eastern regions of the country to a lavish appreciative bash. While the prestigious Sheraton Hotel was used to fete the stakeholders in Abuja region on Thursday, the high profile Golden Royale Hotel was the venue of the unbridled fun unleashed of Glo stakeholders in the South Eastern region on Friday. 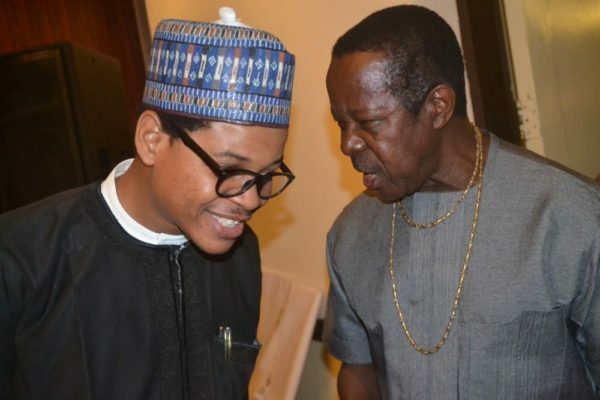 In Abuja, King Sunny Ade was on hand to entertain high net worth guests. He danced, wriggled and sang to serenade attendees who had an amazing time, to say the least. 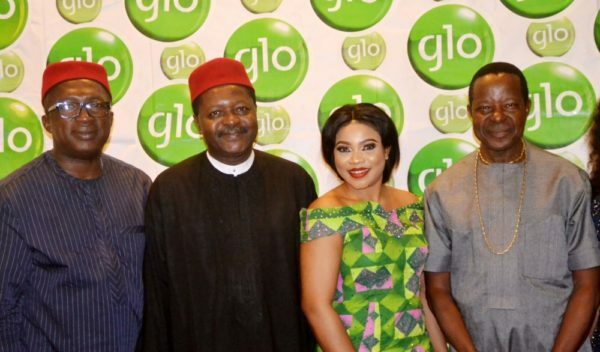 Glo Chief Retail Officer, David Maji welcomed guests. He was accompanied by his top sales executives. MC Tagwaye alias “Mr. President”, Gordons and Acapella supplied rib cracking jokes and wisecracks to wash down the sumptuous meal and choice drinks. All the guests were presented with one plasma television set each while lucky dealers who participated in the raffle draw won One million naira, Five hundred thousand naira and Two hundred and fifty thousand naira cash prizes at the event. “This is another way of saying thank you to our partners who been giving tremendous support to our business,” Mr. Maji said. 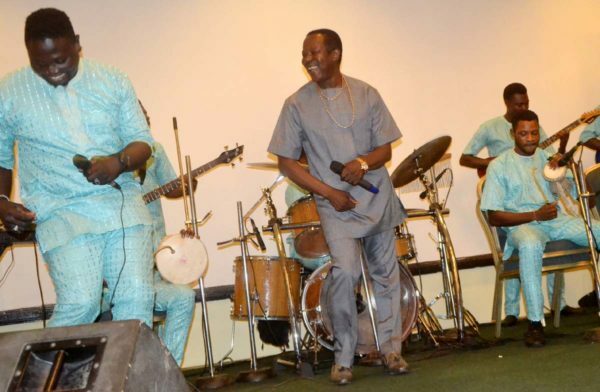 The story was the same at the Enugu event, as it was an evening of cool live music supplied by Royal Stars Band, high-level comedy and sumptuous dinner, complete with a rich variety of drinks. Dexterous comedian and compere who has earned respectable reputation in the East, Senator, piloted the event. 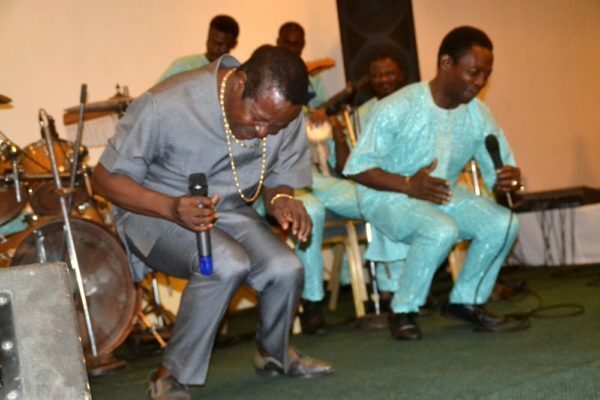 The night was also enriched by the presence of veteran actress, Patience Ozokwor, popularly called Mama G, ace comic, Victor Osuagwu and high flying pop artiste, Phyno, who performed his hits for the enjoyment of the guests. Globacom’s Coordinator of Corporate Services, Yomi Ogunbamowo formally welcomed the guests on behalf of the Chairman of the Board of Globacom, Dr. Mike Adenuga Jr. He was accompanied by Globacom’s Marketing Director, South-South, Ashok Israni, Akoko Macaulay, Zonal Head, Enterprise Division and Tochukwu Okechukwu, Regional Manager, Primary Sales (South-East 2). A dealer went home with N1 million, two others bagged N500,000 each while four dealers went home with N250,000 each after they were picked in a lucky dip. Every one of the stakeholders also took home a flat screen television set.